Lula Bell Worthy, a native of Rockville, Alabama, was born to the late Henry “Bud” Phelan and Lula Mae “Bama” Sewell Phelan. She departed this life on Monday, April 1, 2019 at Mobile Infirmary Hospital surrounded by her daughters, Lula and Elaine. She was preceded in death by her husband, Deacon Matt Worthy; sisters, Easter P. Andrews, Annie Mae McMillan and Lola Sims Franklin; three brothers, Abraham Phelan, Henry and Esau Perine; Mothers-in-law and Fathers-in-law, Martha and Lemmie Caves and Thelma and Amelia Sims; Sister-in-law, Patricia Caves; Brothers-in-law, Roosevelt and Ezell Caves. Lula Bell accepted Christ at an early age and served the Lord faithfully until her death. She was a member of Mt. Olive No. 1 Baptist Church, Rockville, Alabama and served as the church musician for almost 50 years. 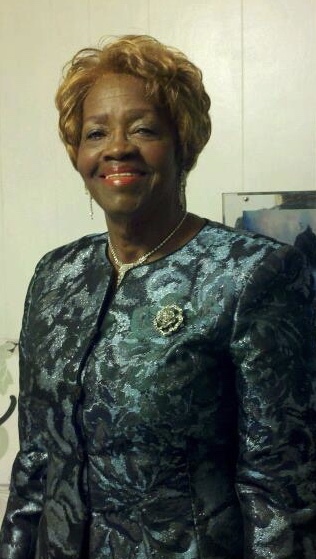 She served as musician for various ministries including, Mt Shady A.M.E. Zion Church, Sunflower, Alabama; Vernal Chapel Baptist Church, Jackson, Alabama; and Greater Pilgrim Rest Baptist Church, Walker Springs, Alabama, and was available to assist churches in the work of the Lord. She was an integral part of the Majestics Gospel Singers and recorded a CD, which was a dream of her late husband, in 2005. This special project continually blesses the souls of people to this day. Professionally, Lula Bell graduated from the Good Samaritan Hospital School of Practical Nursing, Selma, Alabama which was Alabama’s first School of Practical Nursing established by Catholic Sisters of St. Joseph from Rochester, New York. The objective of the school was to prepare professional women, equipped physically, intellectually, and spiritually, to provide self-satisfaction and community welfare. Ms. Worthy excelled in the program and received her nursing degree. Ms. Worthy worked as a Licensed Practical Nurse (LPN) at Jackson Hospital for over 20 years, and had the joy of providing compassionate and loving care to many people throughout the communities and the surrounding areas. 26 Great-Grandchildren and 2 Great-Great Grandchildren, a host of nephews, nieces, and other relatives and friends.